Pop quiz, hot shot: You are a band who have existed for 22 years. You have supported some big acts, have a style that is a throwback to the late 80s, and have not released anything since 1993. Your lead singer leaves. What do you do? Well, in the case of deardarkhead, you don't do what most people would do and call it quits. You double down and release a six track instrumental only EP, while still claiming you haven't yet found the singer of your choice. 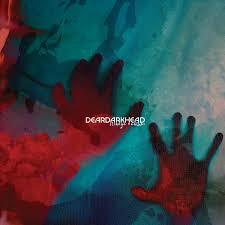 Now if you are not familiar with deardarkhead, their musical style is shoegaze. So imagine a shoegaze instrumental sound which leans towards that genre of dispute known as post-rock. If you can imagine than, then you are in the ballpark of Strange Weather their latest offering. It's interesting to imagine these track with lyrics, would they work? Is the music too dense to support the lines that have been written? Have the lyrics actually been written. During the 25 minutes that Strange Weather swoons around you these thoughts and more swim to the surface. From the slow build of opening track Falling Upward to the final notes of Thinking Back you are filled with jangly guitars, circular hooks and progressive melody that hints at where a chorus might be. The insistent guitars and music is best exemplified by March Hares. With a bass and drum section leading the way and propelling the guitars into a happy jangly pop song that screams to be used in a soundtrack somewhere, but almost feels a little hollow without lyrics. The songs work instrumentally but if they ever find a vocalist you could image this being re-released with vocals. This is an intriguing album that jangles its way along merrily enough but doesn't quite enough to hook you fully.